This condo is a new luxury resort located at the base of Aspen Mountain in the Colorado. Aspen offers wonderful condominiums right at the base of Aspen Mountain and in the best location in town. 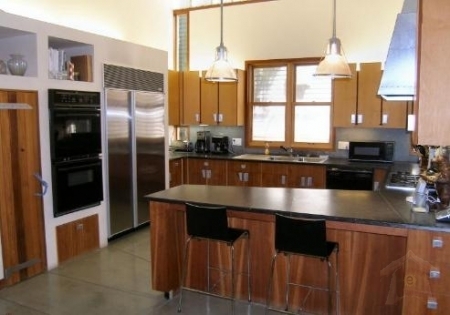 This modern contemporary home located in Aspen’s historic west end was designed by architect Harry Teague. With Harry’s unique use of windows to create light in every corner, you will enjoy the sun in this airy and bright home throughout the entire day. The unit features a king size bed in the master, a queen in the second bedroom, and two twin beds in the third bedroom, as well as a new queen sleeper in the family room, making for room for eight to sleep comfortably. In addition, this unit has fresh paint and new carpet. Also in this unit are four TVs and a DVD player. Wi-Fi is also available. The kitchen seats six at the table and four at the counter, and the balcony stretches the width of the condo, with table and chairs. Each room is very nicely decorated. The property features private parking, game and media room, exercise facility and a members' lounge for gatherings. 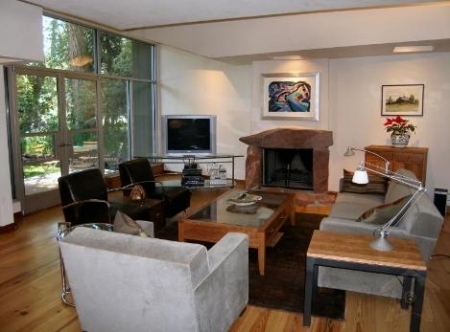 Condo is situated within easy walking to any of the town's fine restaurants and shops. Condo vacation rental rates $500 per night.